It's an inescapable conclusion at this point, but the NFL doesn't want a team in Los Angeles. A big empty lot, with the potential for a new stadium and team, is far more valuable to the league and the owners as a threat than as an actual franchise. As teams attempt to wring taxpayer money out of their communities for new stadiums and renovations, they're realizing that politicians have wised up about shelling out public funds to strengthen rich owners' investments. With civic duty no longer a tempting carrot, owners have turned to the stick—give us a new stadium or we'll move to L.A. The Dolphins are fighting this battle in an already-burned South Florida, as are the Rams, while the Bills somehow convinced New Yorkers to pick up 84 percent of the cost of a new stadium. 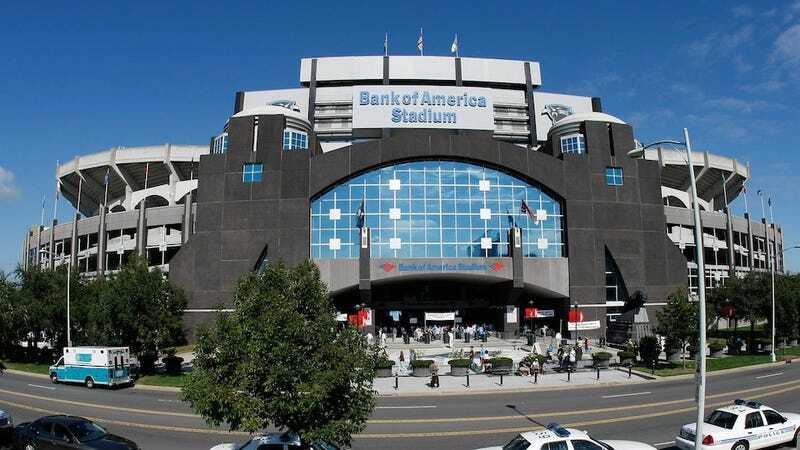 But no one has been as bold as the Panthers, who want to renovate Bank of America Stadium and want Charlotte and North Carolina to cover two-thirds of the price. The plan was to get $144 million from a city tax hike on food and beverage, and $62 million from the state's coffers. (The money would have gone toward fitting the stadium with things like new escalators, a new video board, and in-stadium Wi-Fi.) But it's not happening. Last week Charlotte North Carolina legislators declined to push through a tax increase, and yesterday governor Pat McCrory said the team won't be receiving any money from the state. "[State officials] have always been supportive of our efforts and indicated the importance of the Panthers to both the State and Charlotte. We are hopeful that ultimately these assurances translate into support for the team." The Panthers have effectively put a price tag on that "support," and it's got an expiration date too. Seventy-six-year-old owner Jerry Richardson forced his sons out of the company a few years back, and has indicated that he wants the team sold after he dies. The new owner might not be so wedded to Charlotte. That provides one last bargaining chip for the Panthers, and they haven't been shy in playing it: If they get their public money to spruce up the stadium, they're willing to sign a contract that would stop them from moving for 15 years. No taxpayer money? No promises. There's always L.A.